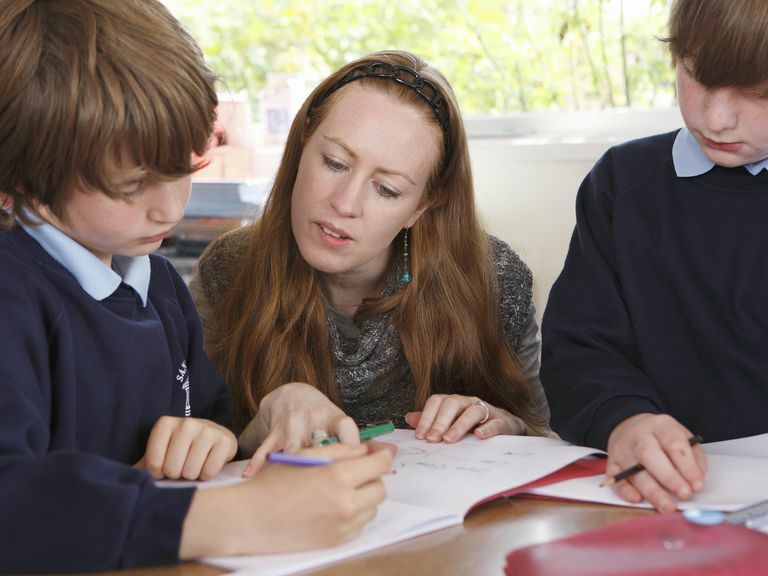 Many parents of children with learning disabilities opt to sign up their children for tutoring. But do you really know what tutors do and the expectations you should have of them? Find out what you should know before making use of tutoring services for your child. A tutor is a person qualified to teach students in one or more subjects. A tutor usually teaches students outside of school hours and is often paid to do so. A tutor may be formally trained, and many certified teachers tutor on the side. A tutor may also be someone with expertise in a subject area who is not a certified teacher, such as an academically talented student. Some tutors work for commercial tutoring businesses. Under the now defunct federal law the No Child Left Behind Act (NCLB), low-performing and low-income schools were required to provide free tutoring services to children who qualified. NCLB was phased out in 2015, meaning that its mandates regarding free tutoring no longer apply. That doesn't mean your school has stopped offering free tutoring to students, though. Ask your school's administrators if they provide any free tutoring sessions to students. Your child's school might have access to other funding that allows it to provide free tutoring. If the school doesn't provide tutoring, churches, and civic organizations may be your next step. They often provide tutoring as well--many times at no or low cost. What Should Parents Look for in Tutoring Programs? Parents should consider available information on tutoring programs, such as the qualifications of the tutors, the services provided and the performance record of the tutoring provider. Parents should also devise their own unique questions to ensure the tutoring services meet their child's needs. Is Access to the Tutoring Program Convenient? You not only need to consider the quality of the tutoring program but also the location of it. Can you get your child to the tutoring sessions? If not, how will your child make it to the sessions? Does the tutoring program test your child to determine his skill level? Does the tutoring service develop unique learning goals for each child? Does the tutoring program also communicate with your child's school to ensure that their methods align with classroom expectations? Will the Tutoring Program Adapt to Meet Your Child's Needs? Does the tutoring program work with your child to determine which strategies will help him, or is the tutoring program fixed only on teaching a specific method? Can the Tutoring Program Manage Behavior Problems? Is the tutoring program ready to meet the instructional needs of children with behavior problems as well as learning problems? Do they use positive behavior strategies while tutoring to motivate children? How and when will the tutoring program share behavior progress reports with you? Are There Enough Adults to Serve the Children? Does the tutoring program have enough staff and support to give each child the attention he needs? Is there a certified teacher with advanced degrees either delivering tutoring or closely supervising those who deliver the tutoring services? Does the Tutoring Program Use Engaging Materials? Look for a variety of types of tutoring materials for instruction. Are there books, tapes, hands-on materials, learning games, physical activities and other fun activities that also teach concepts during tutoring? Is the Tutoring Program Responsive to the Child? Do the children seem to enjoy the tutoring experience in the program? Do kids talk favorably about the tutoring program? Do they look forward to the tutoring sessions? Does the tutoring facility seem like a fun, safe, environment where tutors and students enjoy working together? Does the tutoring program offer one-on-one or small group instruction? If the program is online, does the school or the tutoring service offer help if you need it? Is there an online, real-time tutor to guide your child? Is the tutoring program open to parental input and participation? If there is a problem, what is the policy on changing tutors? Who are the contact people who can assist you with problems or questions about your child's tutoring? Which Tutoring Programs Offer the Best Value? It is important for parents to consider the cost of the services. Parents will want to choose tutoring programs that offer the best tutoring at the best price to ensure their children get the maximum amount of quality tutoring services they can.